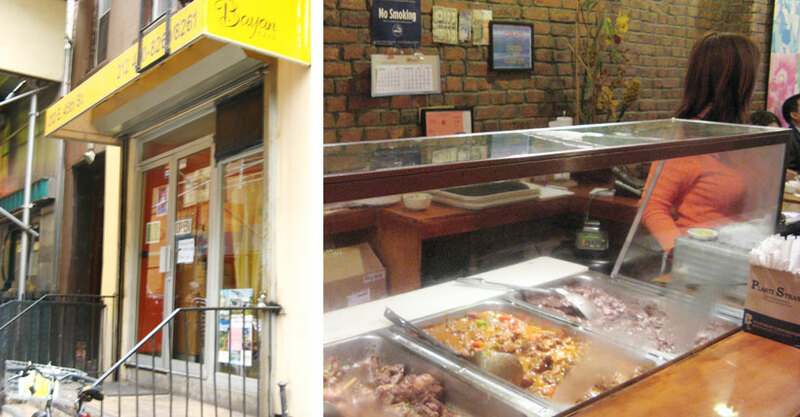 I vaguely remembered having some sort of Filipino lunch a while ago at Bayan Cafe, a steaming table full of heavy sauced dishes over white rice, wasn’t too bad. So I rushed over and to my delight Sizzling Sisig (finely chopped crispy pork ear, belly, hot peppers, onions) was on the menu! As ecstatic as I was, a little voice inside kept whispering, “this is midtown, and it can’t be good, get something else”, but I was desperate, and the only way to settle was to shed out $13. Besides, nothing really stood out, and the Chicken Adobo, a popular dish, looked pale and sad. The first couple bites actually tasted quite good, I must of been delusional or something. Maybe it was hunger, or just pure joy of being able dig into something so foreign for lunch. I couldn’t wait to share about the awesome discovery. Unfortunately those feelings only lasted a couple spoonfuls. 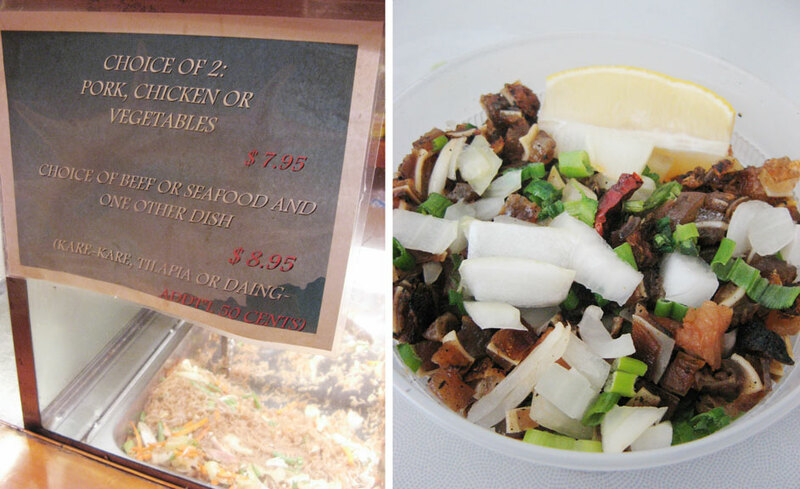 The pig ears, my favorite, weren’t crunchy, but chewy (in the worst way possible). Like chewing on a old shoe, not that I would know, but that’s how I imagine it would be. I guess the parts of the pigs head were way over cooked, and rubbery is not a desired texture. Ordered to go, so it wasn’t sizzling, which makes even more sense that it shouldn’t have been this overcooked. Afterwards, I felt really grossed out, my tummy must of been like “@#$#$# what on earth is that! ?, I like inners and head cheeses, but this ain’t food”. So even though Engeline’s is a train ride away, I would rather hop on the 7 train and get my fix there. With all that I ate that night, I felt totally fine and jolly afterwards. Plus on the Express 7 train it actually on takes 20 minutes from Grand Central, so it’s totally doable for a looong lunch. So is this really the deal with all 'midtown' food? And, with a great metabolism comes ever greater responsibility! …I can't go for more than four hours without eating, seriously. I start to starve almost immediately! Midtown has some really cool places! but some not so good ones always sneak in. what are some of the places ur looking into?! I'm so jealous of your fat metabolism! I wish you could share some wit me! =) i guess cuz ur still very young! Dang. Thirteen dollars for lunch?? 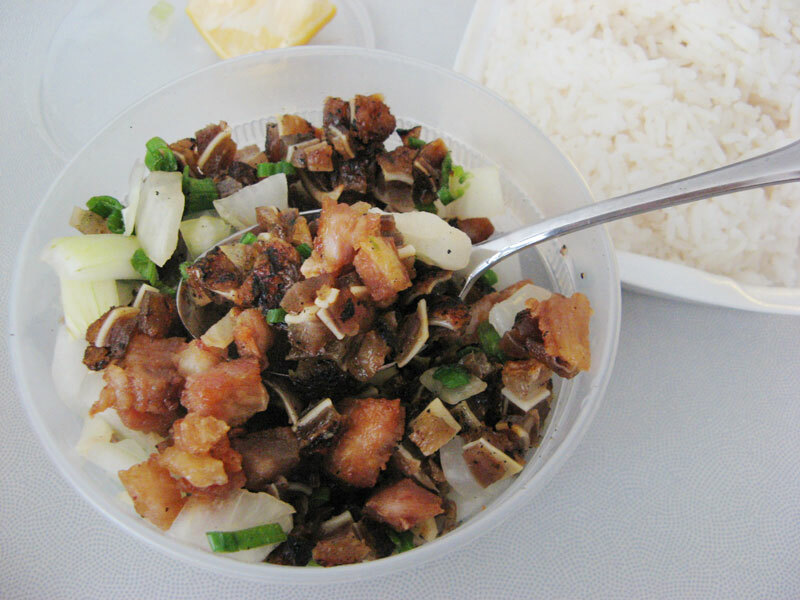 SiSig is so good. I did have a really good ones a couple weeks before, that's why I was craving it. I have been reading this forum since last year, and now I encouraged to chronicle here! Look forward to we have some passable things to discuss.